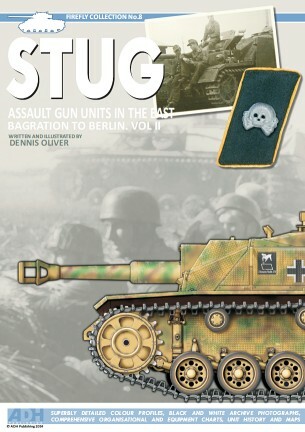 At last the second and final part of the STUG series is almost ready for the printers and in fact we're just waiting for the photos from Russia to complete the project. My friend in St Petersburg, Prof. Yuri Shepelev, who is a massive armour fan and a very nice guy, has been able to access the photos at the State archives, but as Yuri says: "bureaucracy never sleeps!" The wait time from order to delivery is one month (minimum) but as many of these photos haven't been seen outside Russia I'm hoping they are worth the wait. 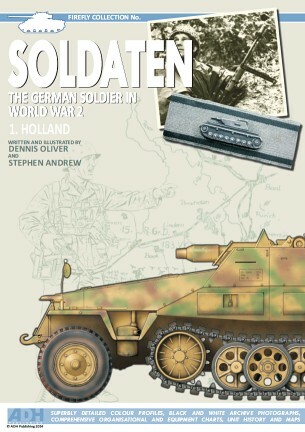 The first in our planned SOLDATEN series is also well advanced and Stephen Andrew may have even finished his contributions to the illustration section already. 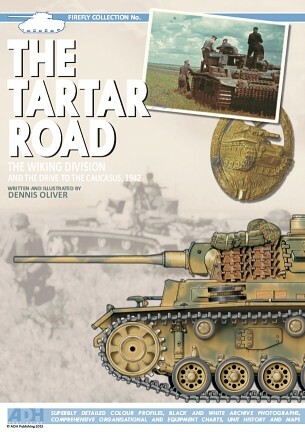 And finally a prequel of sorts to Viking Summer titled THE TARTAR ROAD. As well as covering the actions and vehicles of the SS Wiking division during the summer of 1942, we will also touch on the other units attached 1.Panzerarmee and operating in the Caucasus at that time including 13.Panzer-Division and 23.Panzer-Division. Most of the photographs for this book came from Fox Company research of Maryland and are of their usual high quality and clarity. In the United States: Dragon USA, Squadron Mail Order, J.J. Fedorowicz Publishing, Sprue Brothers, Boomer's Books, Michigan Toy Soldier Company, Aberdeen Bookstore, M & Models, On Military Matters, Toy Soldier Brigade, Run for Cover, 1001 Modelkits, Last Cavalry Historical Toys and Hobbies, Cajun Model Company, Roll Models. In Germany: Berliner Zinnfiguren, Christain Schmidt Fachbuchhandlung and Der Sockelshop. In Italy: Milistoria, 1001 Modellini and La Libreria Militare. In Poland: Jadar Hobby and Model Plastikowe. In France: Blast Models and 1001 Maquettes. In Hong Kong: Universal Models Ltd. In Australia: Viceroy Books, Platypus Publications, Ronnel’s Hobbies and Sandle Hobbies, Australia.